The Hillsdale Park View Pub Table is constructed from solid woods, climate controlled wood composites and veneers. 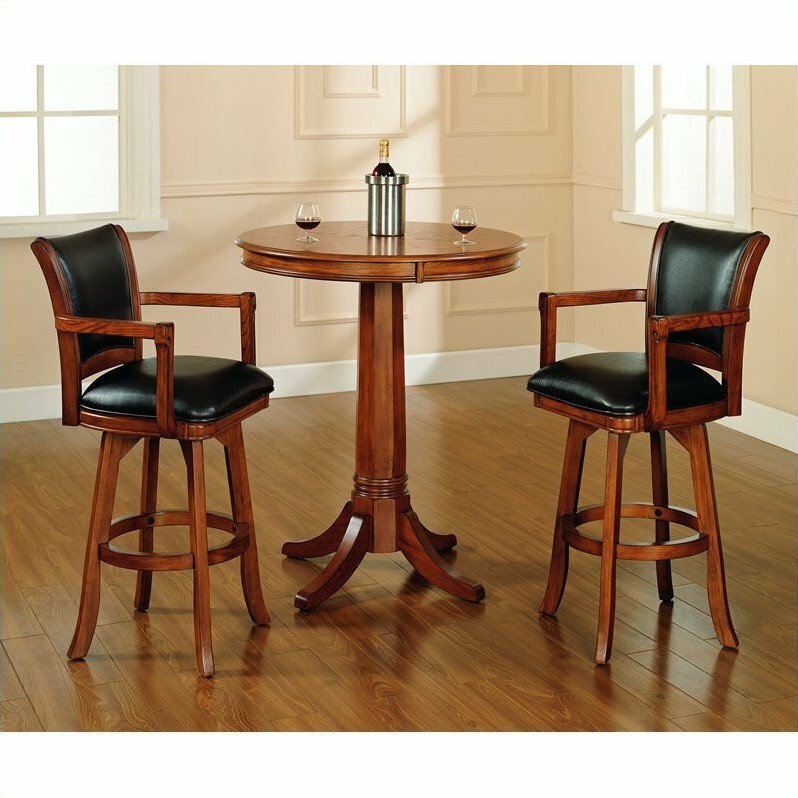 It features an elegant medium brown oak finish, classic pedestal base and a round shaped wood top. Complete your décor with the matching Park View Bar Stools. Add traditional charm to your game room or kitchen with the Park View Pub Table.